In case you were wondering about the Word Game shown in this post about groov 2, I’ve attached the strategy and PAC Display project which let you guess a word or phrase, a little like “Wheel of Fortune” (but you don’t have to buy any vowels). Adding a page in groov is pretty easy and fun too, I used a handful of different gadgets as pictured in that other post. In PAC display I leveraged the newish drop-down option for letter selection. Have fun with this “toy”! Given the amount of damage I saw due to gophers near my house this weekend, I thought this latest little game might appeal to others with yards (or fans of “Caddyshack”). If you’ve not tried groov yet FOR FREE! I strongly encourage you to try it yourself. Building a game for your phone is even more fun than playing one, and groov Server for Windows can load on the same PC as PAC Sim which of course is included for free along with PAC Control & PAC Display basic in our [URL=“http://www.opto22.com/site/downloads/dl_drilldown.aspx?aid=3172”]PAC Project Demo download [click here]. You can load it on a laptop at home and become a mobile app developer in minutes, impress all your friends, and write your own game to play on your smartphone. 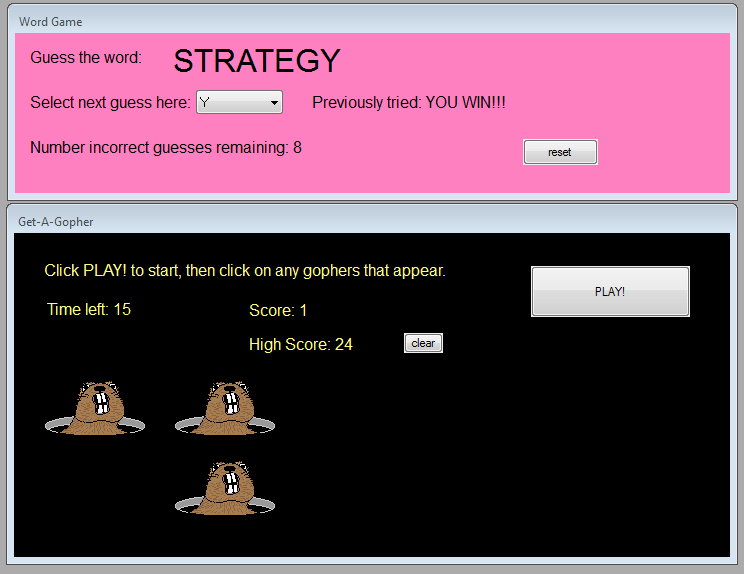 Or just load and play this little game and get out your gopher frustrations. 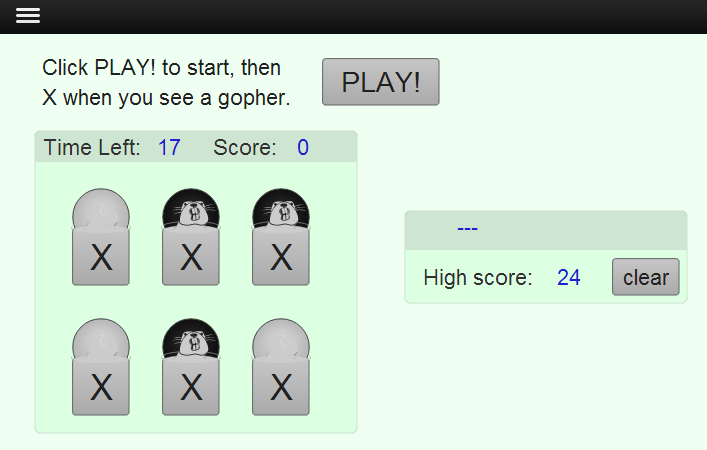 I did use a bit of a trick here to make the image of the gopher appear then disappear. I set the “True” color of an LED to be black, and the “False” color to be the same color as the SVG image, so it’s “invisible” when the value is false. I borrowed that trick from my very clever graphic designer coworker!